The Cornish Rebellion of 1497 (Cornish: Rebellyans Kernow) was a popular uprising by the people of Cornwall in the far southwest of Britain. Its primary cause was a response of people to the raising of war taxes by King Henry VII on the impoverished Cornish, to raise money for a campaign against Scotland motivated by brief border skirmishes that were inspired by Perkin Warbeck's pretence to the English throne. Tin miners were angered as the scale of the taxes overturned previous rights granted by Edward I of England to the Cornish Stannary Parliament which exempted Cornwall from all taxes of 10ths or 15ths of income. Examination of Sir Anthony Browne. Since our last written from this place we received letters by one of the servants of viscount Hannaert, in which he writes that Francis has declared to him that he would no longer have an ambassador there from us, and intended immediately to recall his own resident with us. In this, as in other things, he shows the perverse inclination he always had for war, which he has re-commenced, and that it was against us. Today we will give his own ambassador congé as soon as he asks for it. Our ambassador has also informed us that he had lately had some communication with the English ambassador in France, who intimated that if we invaded France the king of England would be bound by treaty to assist in its defence. As this may have been said by information which he had from the King his master, and in any case the French will probably put it forward, you will endeavour to find out on this point from Cromwell and others the inclination of the king of England, and when you find it advisable point out that the King cannot aid the king of France, but is expressly bound to declare himself on our side against France by the reasons which we have already written to you, especially in our letters from Gaeta of 18 March, to which we can only add what has since taken place,—Francis having re-commenced open war, not only against the duke of Savoy, a vassal of the empire and our ally comprehended in the treaties of Madrid and Cambray, but directly against ourselves, as he has plainly declared and written almost everywhere in Christendom, and has expressly told Hannaert and others that he meant to have Milan either by consent or by force. He still holds all that he has taken from the duke of Savoy, and as abovesaid has dismissed my ambassador Hannaert, declaring expressly thereby that he is at war with us, although we have never till now made any attempt against his kingdom, and we cannot think that the king of England, with his great wisdom and virtue, does not see clearly that we have been provoked and compelled to this war, and that we have the right of those who defend themselves to pursue an enemy as far as they can, and that the king of England is fully bound to assist us against him. We desire you to put these points forward, either that the King may declare himself on our side if you think good, or if not, at least that he remain neutral, although in this latter case he will do us manifest wrong. 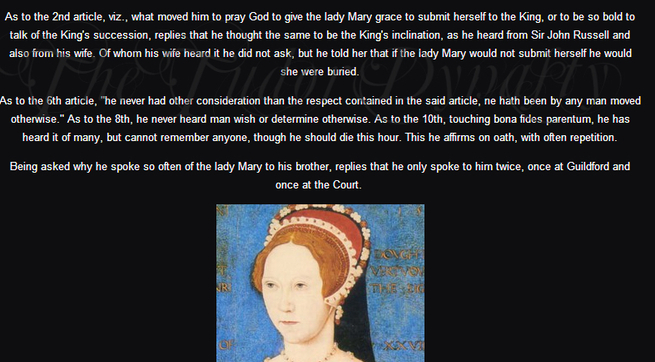 As we know not whether what we have written to you since the death of Anne Boleyn will have rendered the King better disposed to the re-establishment of our friendship, we cannot write more except to leave this to your discretion; and if the King has married Mrs. Semel, as you wrote last to Granvelle, which is confirmed from France, you will not forbear to see if the said renewal of amity can be arrived at, and you will conduct yourself towards the said Semel as you think most conducive to this object and to the weal of our cousin the Princess. Asti, 17 June 1536. 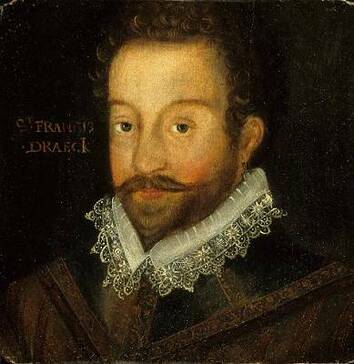 1579-Sir Francis Drake claims San Francisco Bay for England.